Professional Trainings | XplorAction, Inc.
A professional training in the Feldenkrais Method® is an 800 hour program divided over a period of 4 years at the rate of 2 months a year during which trainees develop the skills and understanding necessary to begin a professional Feldenkrais practice. The training environment is safe, stimulating and noncompetitive, respecting each student’s learning pace and progress rate. The process is organic rather than academic; motor development and the functional possibilities of the human body are learned from the inside out, through your own experience and explorations. Primarily a practical training, our programs will positively lead to a fuller realization of yourself by developing your self-image and expanding your potential for skillful action, learning ability, awareness and self-confidence. The journey is wonderful and the benefits are innumerable. You will have the incredible opportunity of rediscovering yourself, improving your life, and gaining a highly respected, innovative profession. Our training programs are accredited by The FELDENKRAIS GUILD® of North America, and we are licensed as a Private Vocational School by The Washington State Workforce Training and Education Coordinating Board. 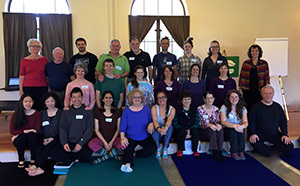 Applicants to the Seattle Eastside Feldenkrais Teacher Trainings should be college graduates or have an equivalent, though perhaps less formal, learning experience. 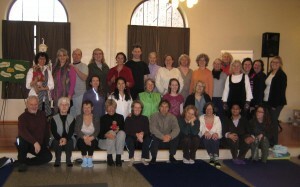 If an interested applicant has no college or other degree, the applicant should include in their application a statement describing how their life experience brought them the maturity and focus in life that will be a suitable foundation for entry into a Feldenkrais professional training program. Diversity of backgrounds of the training’s participants contributes greatly to the richness of the training. ExplorAction encourages applicants to come from a variety of professions, occupations, and fields of endeavors. Applicants shall be accepted into the training without regard to their race, gender, religion, physical limitations, age or sexual orientation.